Be a game changer for the Monroe Carell Jr. Children's Hospital at Vanderbilt by participating in the 8th Annual Credit Unions for Kids Golf Classic. 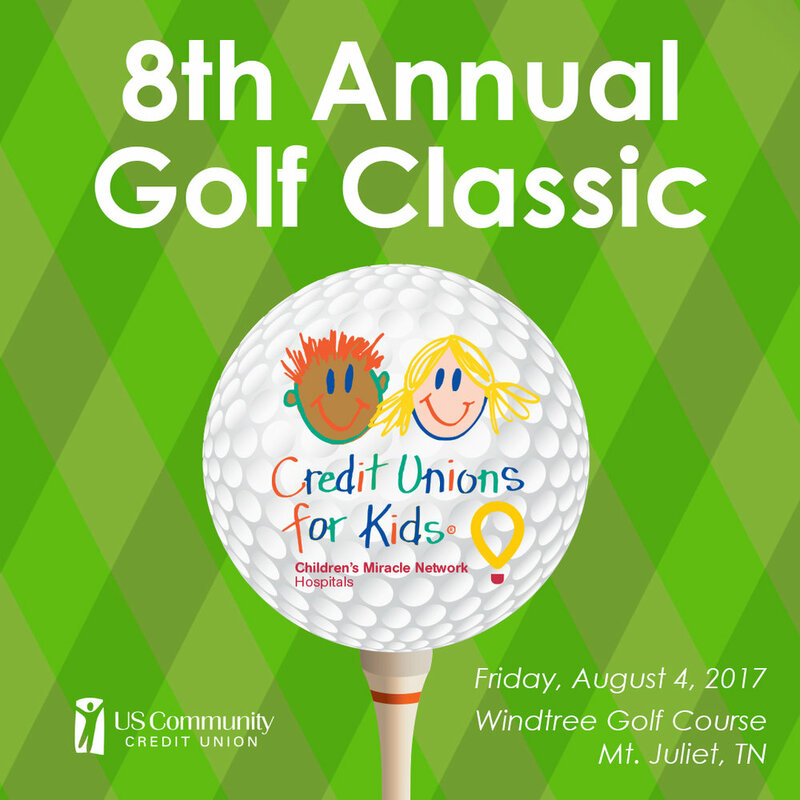 Each year, several local credit unions get together to raise money to help support the wonderful kids and families at the Monroe Carell Jr. Children's Hospital at Vanderbilt. Every family visiting the hospital is touched by the care they receive, and we want to make sure the hospital continues to make a difference in our community. Since the first tournament in 2010, over $100,000 has been donated. So if you feel like getting out and playing a little golf for a good cause, join us! Lunch and Presentation: 1:30 p.m.
- Warm up for an exciting day of golf! - Join the Putting Contest.